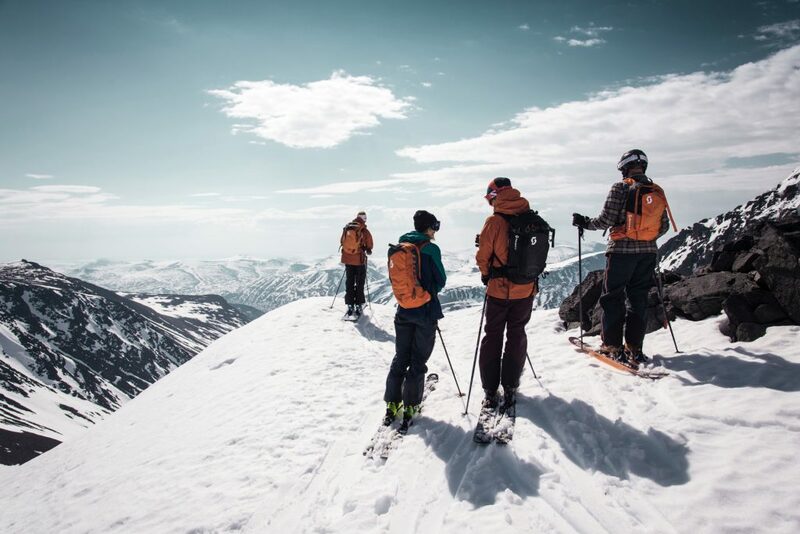 With over 5,000 square kilometres of skiing terrain and more than 60 mountain peaks, the area offers everything from recreational skiing to the steepest of challenges for true professionals. We’ve been exploring and discovering the fluctuating terrain, imposing mountains and stunning glaciers of the region for over two decades. The ski season here begins at the start of March and finishes at the end of May. During this period you can enjoy dark Arctic nights lit up by the northern lights as well as skiing round the clock under the midnight sun. And since we’re located on the 68th parallel north, over 200 kilometres north of the Arctic Circle, an abundance of snow is guaranteed! The nearest slopes are situated just a few minutes from Niehku Mountain Villa by air. Around 15 minutes to the south lies Kebnekaise, Sweden’s tallest peak, scaling 2,106 metres. This is one of Sweden’s richest alpine landscapes, with steep mountains and large glaciers perfect for off-piste skiing. The average vertical drop lies between 500 and 900 meters, rising to 1,400 metres in some locations. On a typical day’s skiing we’ll tackle eight to twelve runs, sometimes more, depending on the snow and weather conditions. During the day you’ll enjoy a hot lunch prepared at Niehku, and the package includes snacks and non-alcoholic beverages to give you a boost of energy. We’ll move in small groups consisting of four to five skiers or snowboarders and a guide. There are never more than two groups sharing the same helicopter. 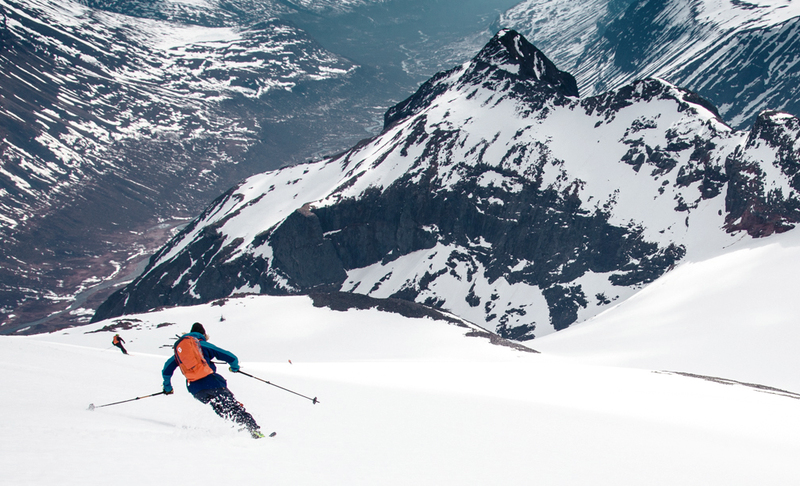 All our guides are IFAGM-certified and have several years of heli-skiing experience. We offer 3, 4 or 7 days packages for the 2019 winter season. You can choose between semi-private, private or exclusive packages. Available from March 21 – May 26. For enquiries, reservations or more information about our private and exclusive packages, please contact us at info@niehku.com.